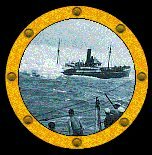 This is the story of shipwreck in the South China Sea and the attempts which were made to rescue the crew of the S.S. Taikinshan by the crew of H.M.S. Alert. On January 18th 1952, H.M.S. Alert, a Despatch Vessel of the Royal Navy, was en route from Hong Kong for an official visit to Saigon. On board was Admiral Sir Guy Russell, R.N., C-in-C Far East Station, who was to meet with Bao Dai, Minister of State for Vietnam. I was an Able Seaman on board Alert at the time. I was awakened at 0340 (3:40 a.m. for landlubbers) for the morning watch and told to go directly to the Asdic (sonar). Before I turned in, we had been steaming south before a stern sea. Now we were heading north into uncharted waters. The Asdic team were ordered to sweep for any unknown underwater obstructions ahead of the ship. 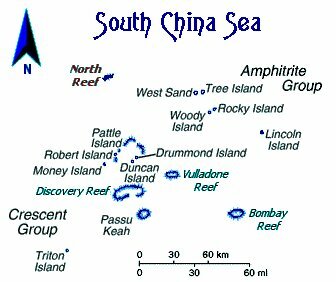 The Paracel Islands are situated about 500 miles (800 kilometres) south of Hong Kong and 185 miles (300 kilometres) north and east of Da Nang, Vietnam. At the time the islands were uninhabited. There is no vegetation. North Reef, where the Taikinshan is believed to have run aground, is horseshoe shaped. The open end of the horseshoe is to the southwest. Inside the 'horseshoe' formed by the reef, the water is shallow.